Shropshire & Herefordshire’s junior golfers have set their sights on Four Counties glory on home soil in 2017 after a strong display in this year’s renewal. S&H finished second in the annual event held at Childwall in Liverpool, a victory, draw and defeat earning them the runners-up spot to Lancashire. That represented S&Hs best performance in the event in recent years and they are now eyeing a first victory since 2005 in 12 months’ time at Shifnal. 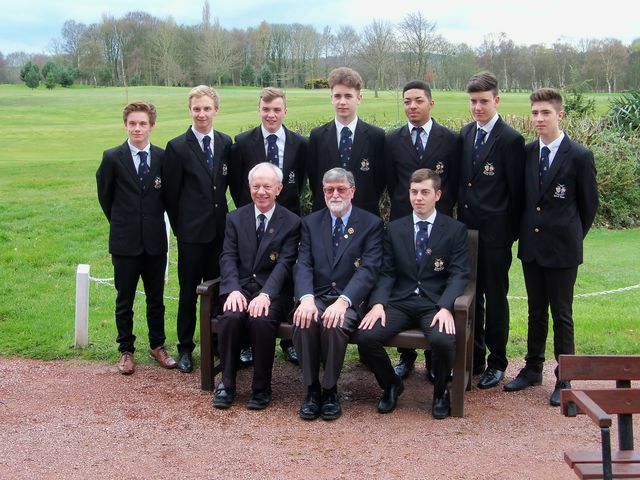 Chairman of Junior Golf Charles Sievewright said: “It was a fantastic performance from the whole squad and they did themselves and everyone involved in Shropshire & Herefordshire golf proud. “The margins in this event are so fine and hopefully they will go our way at Shifnal next year. S&H’s highlight of this week came with a 4.5-2.5 victory over Cheshire, following on from 3.5-.5 draw with Nottinghamshire and a narrow 4.5-2.5 defeat to Lancashire on the opening day. Oswestry’s Tom Matthew produced a scintillating display throughout the week, the 2012 S&H under 12 champion winning all three of his matches to end his debut appearance with a 100 per cent record. Joe Blunden secured two wins from his three matches while captain Harry Bury, Conor White – who defeated England squad member and plus-three handicapper Rhys Nevin-Wharton -and rookie duo Liam Williams and Cameron Probert each secured one win. Dani Hoof halved all three of his matches, proving his battling qualities by coming back from two down and three down with as many holes to play in two of his matches. “It’s a great effort from all the lads as we normally have the highest combined handicaps and it was no different this year,” added Charles.